CES 2015: AKG announces first in-ear Y-Series headphones | What Hi-Fi? 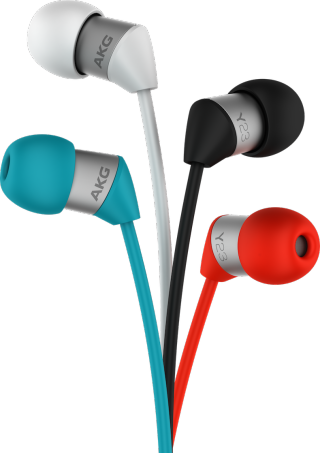 At CES 2015, AKG has announced the launch of the first in-ear models to go on sale as part of its hugely successful Y-Series of headphones. AKG's Y-Series hit the ground running with its superb Y50 on-ears, which picked up a 2014 What Hi-Fi? Award. Now there are two new additions to the range in the shape of the Y20 and Y23 - the first in-ear models for the range. The matt-finish Y20s are made from a lightweight polycarbonate composite and scratch-resistant professional-grade rubber. The Y20s feature 8mm drivers and tilted eartips that use FlexSoft silicone sleeves, while there's also an integrated, universal one-button remote fitted to the headphone cable. Meanwhile, the compact Y23s use smaller 5.8mm drivers and also feature a one-button remote. UK and US pricing are both to be confirmed.